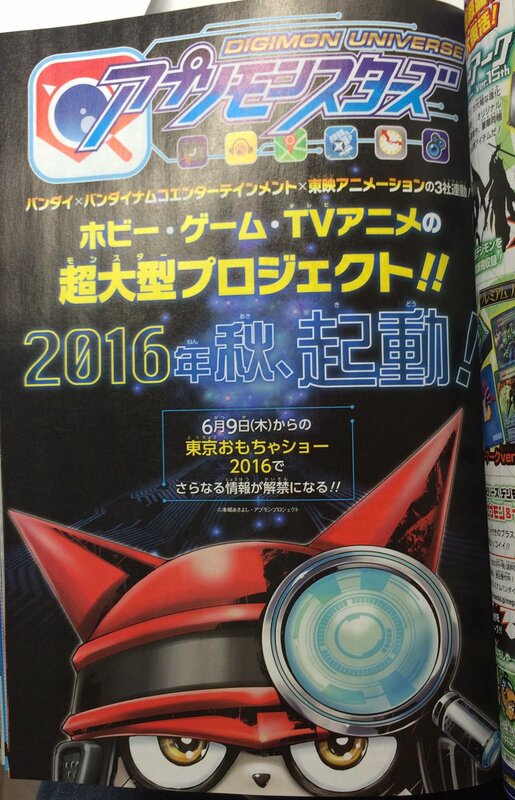 Reveal set for June 9 at Tokyo Toy Show. The latest issue of V-Jump features a single-page teaser for a new cross-media project called Digimon Universe: Appli Monsters. The teaser page says it’s a “huge project” consisting of toys, a game, and a TV anime that involves Bandai, Bandai Namco Entertainment, and Toei Animation. It is planned to begin this fall. Further information will be announced at the Tokyo Toy Show on June 9.